Beach huts are great for relaxing with friends and family and offer inspirational coastal views. Bournemouth actually invented the modern beach hut over 100 years ago and boasts the oldest beach huts in the country, they remain hugely popular today. 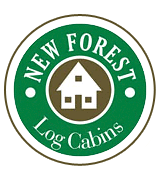 New Forest Log Cabins are proud to have assisted in the development of the Super Chalet style Beach Hut which are available on long term lets with more planned for the coming seasons. Bournemouth Council came to us with a drawing of the type of log cabin they would like designed to be offered to clients at the very prestigious location on the Royal Pavilion at Durley Chine and we were delighted to have firstly built a prototype which they used as their Marketing Suite and Show Cabin. From individual Beach Huts to a whole pavilion, New Forest Log Cabins can design and build to your specification, or similar to the cabins constructed at Durley Chime in Bournemouth. Available in minimum order quantity of 10 huts. With 5 miles of beach front and hundreds of Beach Huts ranging from the traditional day hut to the super chalet that we see advertised for more than the cost of a house. Here at New Forest Log Cabins we try to mix in with the old but provide the facilities necessary to keep the Beach Huts looking great with protection from the elements and security. With the addition of the roller shutters which take seconds to open, the occupants can be assured that their contents are safe and that no condensation has got into the furniture that's been sitting there since last summer. Our design team can either follow your architects drawing and produce a price for multiple Log Beach Huts, or we can take a brief and prepare plans for you. CANFORD Log Beach Hut Measuring 3.3 x 2.3mtr in 70mm Square Log.